Tips for Relieving Anxiety Before Moot Court...or Real Court! Descripción de Tips for Relieving Anxiety Before Moot Court...or Real Court! Professor Heidi K. Brown, Director of Legal Writing and Associate Professor of Law shares tips for success during Moot Court. Before you begin, repeat her four part mantra! Professor Heidi K. Brown is the Director of Legal Writing and Associate Professor of Law. She is a prolific scholar and author on the importance of legal writing, she has published four books on predictive and persuasive legal writing and federal litigation, as well as numerous scholarly articles for law journals. In 2017, she published her fifth book, The Introverted Lawyer: A Seven-Step Journey Toward Authentically Empowered Advocacy. Inspired by her own experience conquering the fear of public speaking during her litigation career, she is passionate about helping law students and lawyers “find their authentic lawyer voices” and overcome anxiety about Socratic legal discourse. As always, if you have and suggestions for an episode topic, please let us know! You can email us at leslie@lawtofact.com or tweet to @lawtofact. Don’t forget to follow us on Twitter and Instagram (@lawtofact) and to like us on FaceBook! And finally, your ratings and reviews matter! Please leave us a review on iTunes. Want to stay updated on all things Law to Fact? 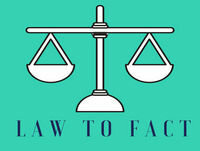 Join our mailing list by visiting us at www.lawtofact.com. Relieving Anxiety Before Moot Court...or Real Court!